includes five sensor modules and one central processor. system is effective at altitudes of up to 65 feet (20 meters). controller, it can tell your flight system to automatically avoid collision, even at high speeds. 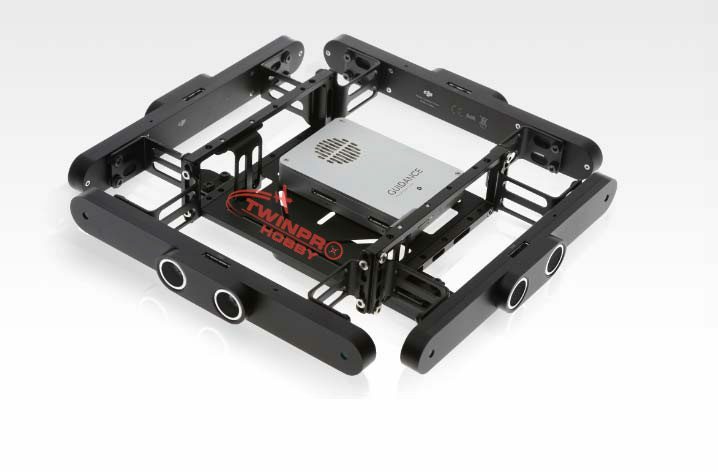 Guidance is fully compatible with the DJI Matrix series flight platforms. Export velocity data, obstacle distance data, IMU data, ultrasonic data, grey‐scale images, and depth images. Obstacle distance data from all five sensors. Support for grey‐scale image output from all five sensors.